PaddleCam lets you do more. 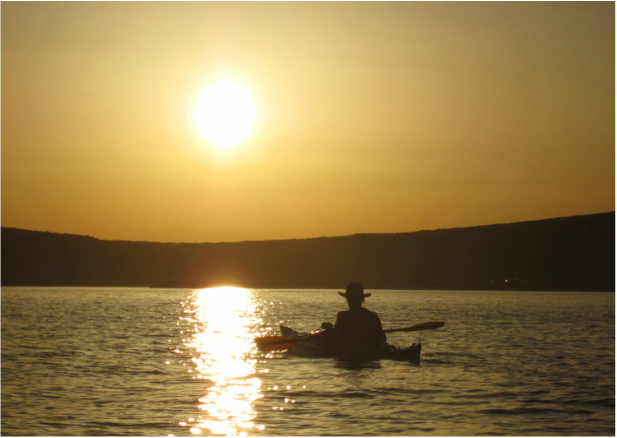 A kayaker paddling off into the setting sun can make a nice ending to your slideshow, if you get the picture! 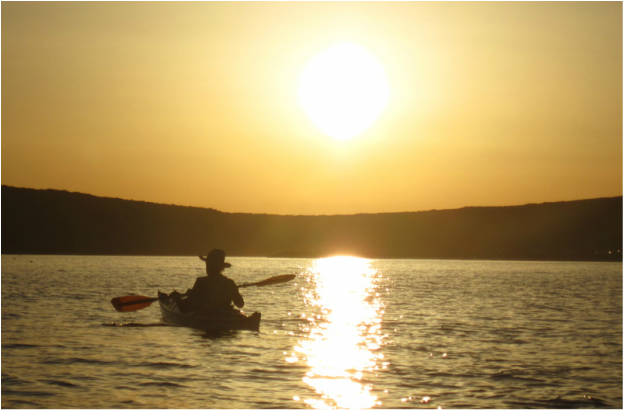 It can end up being a paddler traveling away from the sun if you can't move your boat while you take pictures. The first photograph below, show what happens if you can't adjust your position while setting up for your shot. 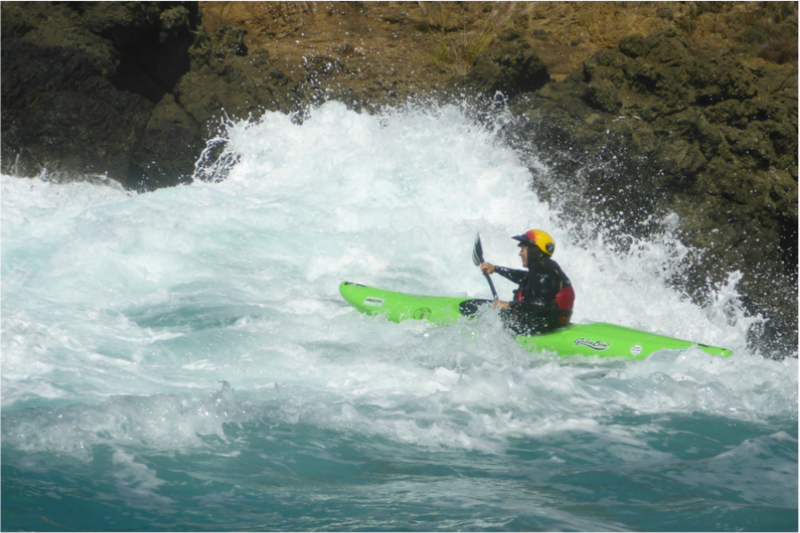 Taking pictures in rough water requires two hands on the paddle to control your boat. The PaddleCam lets you take pictures in places you normally wouldn't take out your camera. 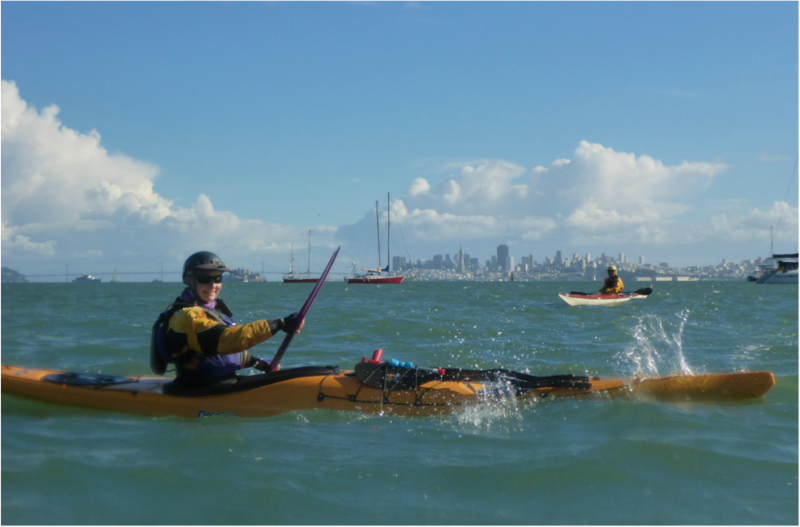 Taking pictures in high winds is particularly difficult while kayaking. Your boat drifts out of position, jeopardizing your own safety as well as ruining your shot. Wind-blown water droplets are almost impossible to avoid. With a PaddleCam, You can do more! We've tried paddling backwards to hold our position and it helps keep water droplets off the lens. Try it the next time you're out in a bit of wind. You'll be pleasantly surprised. Will Pad﻿dleCam®﻿ fit ﻿my padd﻿le?